While many American towns and cities celebrate the 4th by parading around town, DC’s parade is truly the parade to top all parades –– it’s duped THE official Independence Day Parade for the entire county. It’ an event that really showcases the capitol, complete with floats, bands, costumes, drill teams, military personnel, and a whole lot of red, white, and blue. The parade takes place on Constitution Ave from 7th to 17th street, and starts promptly at 11:45 AM, going on until around 2 PM. Millions of people flock to the streets during this window to celebrate the 4th in true American style, though, so make sure to get their early if you’re determined to stake out a good seat. This annual stars and stripes shindig is broadcast from the West Lawn , complete with a star-studded musical line-up and music by the National Symphony Orchestra, which traditionally performs Tchaikovsky’s 1812 Overture. This year’s concert is hosted by John Stamos (of Full House), and will be finished off with a grand finale celebration that includes fireworks over the National Mall. Other noteworthy performers include The Beach Boys, Jimmy Buffet, Pentatonix, Andy Grammar, Chita Rivera, The Temptation, Luke Combs, and more. Get there early to claim a good seat (and up your chances of making a live TV appearance)! What’s more American than baseball? If you’ve got a hot dog in one hand and an ice cold beer in the other, the answer is probably not much. Thankfully, this year, the Nationals will be running around the bases on Independence Day. The Nationals are taking on the Boston Red Sox in a 11:05 AM game that seems like the perfect show of American spirit and pride. What better way to start off the holiday celebrations than with a little ketchup, mustard, and booing of the Sox? Let’s go Nats!!! Celebrate our country’s history by stepping out of the city and stepping back in time, doable just up the road at George Washington’s Mount Vernon. There, the day will be jam-packed with historical reenactments , ceremonies, band performances, and a daytime fireworks display over the Potomac River. Tickets are $18 for adults and $11 for youth, while children up to age 5 can participate in the whole day for free. No doubt that by the time you leave, you’ll be proud of this historic homeland we call ‘Merica. 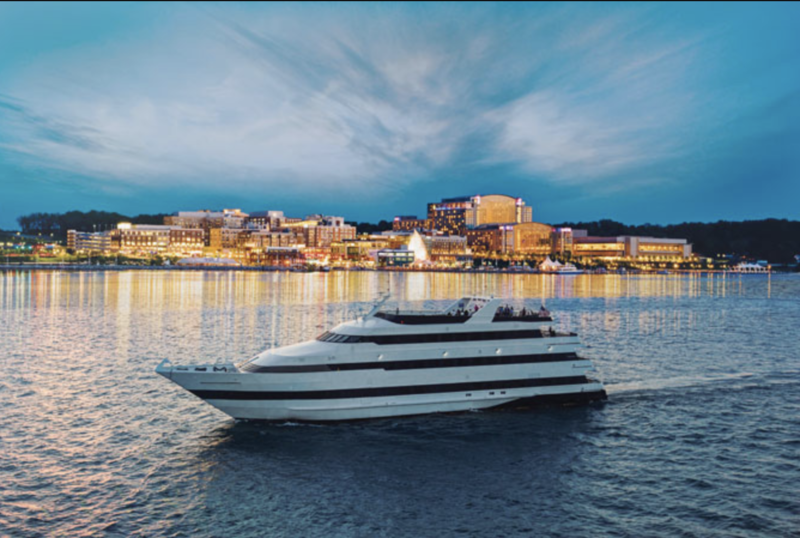 Entertainment Cruises offers a variety of day cruises in the DC area, and on the 4th, they’re pulling out all the stops. While there are a variety of options to choose from, one example includes an Independence Day Monument Lunch Cruise, where you can observe the monuments and their adjoining crowds (suckers!) from the water. For a base price of $51.90, cruises include things like a lunch buffet, onboard DJ, games, creative cocktails and more. Check out the dinner cruise availability to see the Fireworks from on the water!